Rachel Pines and crew for staffroom makeover! Curriculum night/laptops set up worked well. Thinking about how to shorten the length of time in the gym for next year. Bike racks – we secured 4 brand new bike racks to be installed in the back of the school. Cheryl is looking for a parent contractor to help the district facilities rep install the racks. Goal is to have them up by Sept. 30th. $1200 in books arrived from B&N. Getting cataloged at district. Non-fiction books for classroom use. Battle of the Books getting going again. Hopeful for during school rather than after school. Coordinating with library use. Cheryl’s LLS fundraiser is at 5 Guys this year. Oct. 4,5,6th. Money coming in from envelopes, being processed. Won’t know about how next year’s budget looks until after Jog-A-Thon. Food Carts were huge success, will add another next year. Looking to see how we can incorporate parent owned businesses and utilize them to give back to OH. Matthew Whitaker here representing his business as a Financial Planner, to see how they can give back to our PTO. Will G. would like to check with insurance co. for legal aspects. We have to be careful with endorsements. Cheryl will also check with her insurance to make sure the concept is allowed. Possibly use website as a place for families of OH to purchase ad space for a minimal donation to PTO (similar to old Directories), and companies could promote specials within their online ad. Jamba will be giving us gift cards again! Need help acquiring raffle prizes. Scheduled to do Eric Carsle, but we are skipping and doing another artist. Looking to develop a new unit for our school. need to keep the ceramics shelves cleaned off. 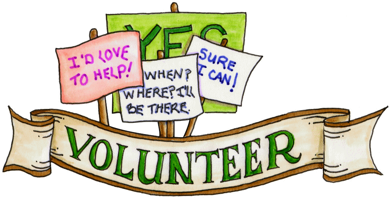 On The Move – Wendy T.
Lots of new volunteers, but we still need some. 4th grade (1st shift), Kindy (AM and PM recess). fundraiser for Beaverton Clothes Closet. Admission is a pair of socks. Food & Beverages (Bro Dogs, Shave Ice, and Milkshakes!) Also popcorn, snacks, etc. Friday, Sept. 27th, Oak Hills Spirit Day – Wear your Oak Hills Gear! Readerboard for front of school. District requires three bids. Rebecca designed the structure. Fast Signs is former OH parent. Font and Brick will match the font and brick of school. Accent colors of red and blue.